When new shows are premiered, networks like A&E look for creative ways to attract media buyers and garner interest in the show before it hits the air. 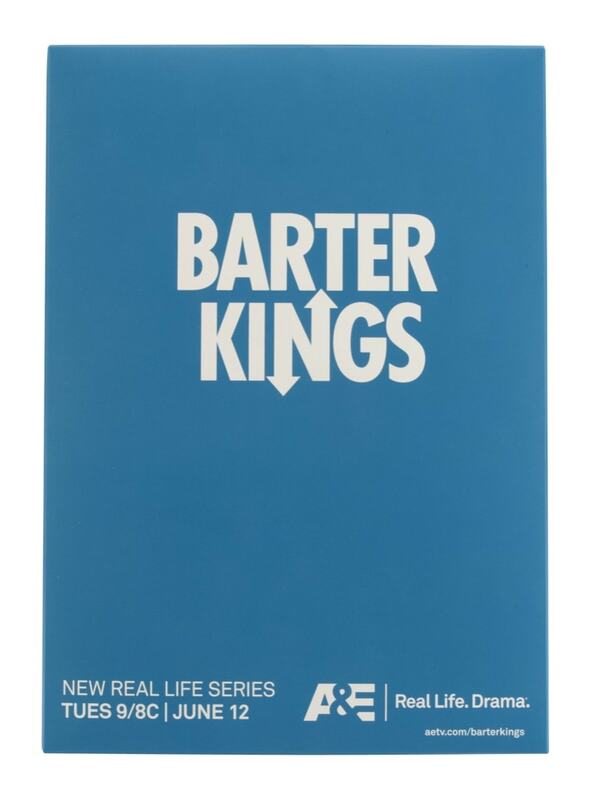 For their new show Barter Kings, A&E approached Americhip to develop and produce an informative and engaging direct mailer with custom packaging. 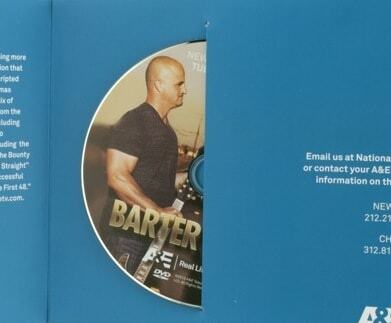 They wanted a custom piece that contained all the details about the show and the network as well as a DVD. The mailer needed to remain flat so as to keep shipping costs down. Americhip's team of paper engineers came up with a mailer that was flat when mailed but also expanded exponentially upon opening. Each recipient was greeted with clean blue matte and minimalist A&E branding which was printed on durable cardstock. When opened, the piece accordioned out, providing a unique and engaging experience. Each section of the accordion contained images and information about the show, network, and, finally, a call to action with A&E's contact information. The last section contained a space for a shiny DVD to peek out and further entice media buyers to preview full episodes of the show. A&E was impressed by Americhip's solution and their initial impressions were instantly validated as they began receiving calls and emails from media buyers.